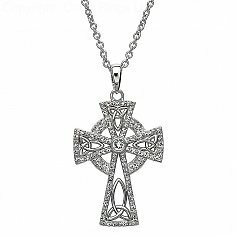 Encrusted with white sparkling Swarovski® crystals, this cross has a gold plated Trinity knot in each arm of the cross. 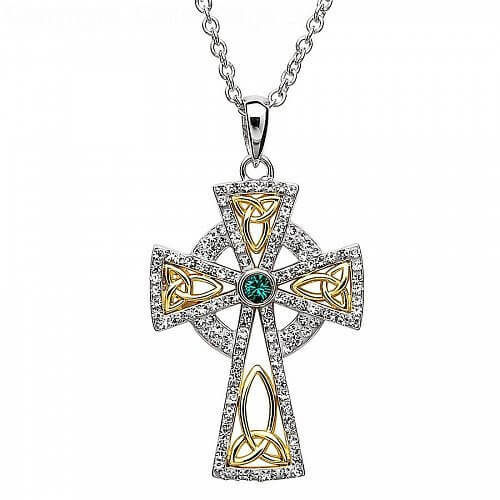 The piece is finished with a deep emerald green crystal in the center. 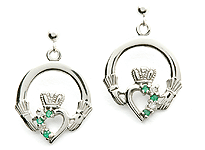 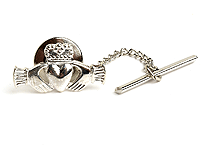 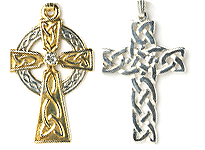 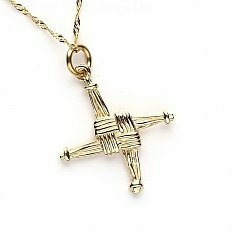 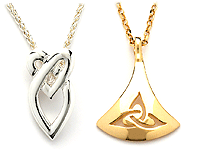 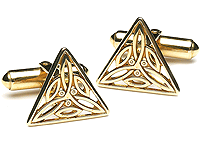 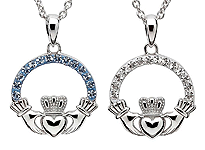 Handcrafted in Ireland by highly skilled Irish artisans and then hallmarked by the Dublin Assays Office.